In TWO weeks’ time: The leak from the kitchen ceiling returns – and something far more sinister. This entry was posted in Light in the Valley of the Shadow of Death and tagged Beth Moore, cancer, chemotherapy, healing, Jesus, Phlippians 4:6-7, radiation. Bookmark the permalink. Thank you so much for writing these. Each time I read one, I look forward to the next. I am excited to hear what God is doing in your life. It’s great to hear from you, Michael! I am praying, asking the Lord to bless and prosper your ministry. Thank you once again. Just what I needed this morning with my coffee. Blessings! Blessings upon you and your family, Sterling. God through prayer and community. Thank you for your openness. It is a pleasure to witness to God’s healing power and love. Thank you, Anita. It’s very encouraging and faith-building! I’m so thankful that this story is a blessing to you, Siri. God is so good! 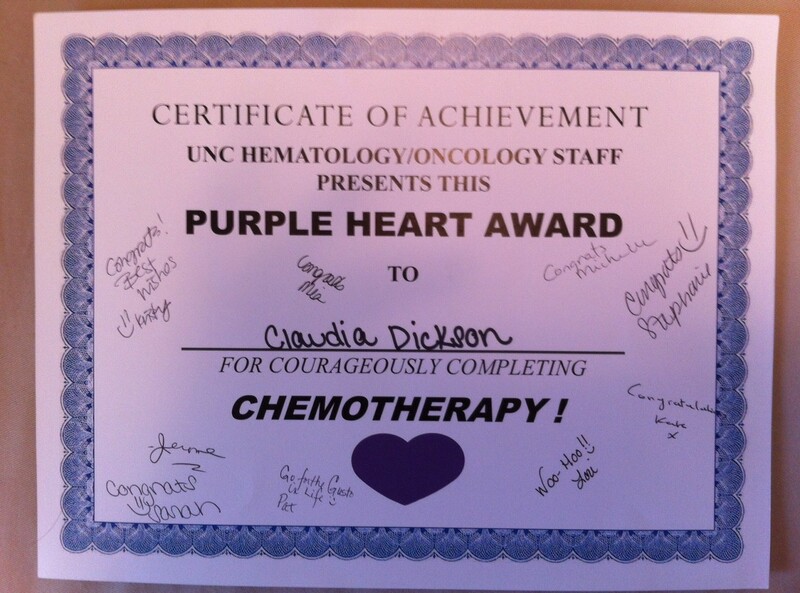 hello siri and hello claudia…i too love your writing and am sorry for all the pain and suffering but rejoice in Christ’s strength and how God has brought you through it all…and it reminds me of my own path through surgery, chemo and radiation etc… but alas how nice to get a certificate and hit a gong!! no such things where I was…but wonderful ideas to share! Thank you, Barbara Elizabeth. Praise God for seeing you through surgery and treatments. Thank you, Lori. Happy to provide the link.